You’ve put off taking the MPRE long enough—it’s time to sign up for the MPRE so you can get one step closer to bar admission. This post will answer your most urgent questions about the MPRE exam. What is the MPRE and who has to take it? The MPRE (called the Multi-State Professional Responsibility Exam) is a 60-question, multiple-choice exam that examinees must complete in 2 hours. You can sign up for the exam online and the cost is about $95. Almost every law student in the nation needs to take and pass this exam (unless you plan to practice in Maryland, Wisconsin, and/or Puerto Rico—where the MPRE is not required). When do you take the MPRE and what is required? The MPRE is offered several times a year (March, August and November). Many students take the exam during the summer after their second year of law school. If you wait until your third year of law school, take the exam in November or March so you don’t interfere with studying for the bar exam. Do you have to have passed a Professional Responsibility (PR) course prior to taking the MPRE? No. There is no requirement that you pass a law school PR course. You can learn the rules on your own—but if you haven’t taken a PR course yet—you’ll probably want to sign-up for an online MPRE course. Look for a program that offers lectures about the rules, outlines, and lots of MPRE questions and simulated exams. How difficult is the MPRE and what exactly does it cover? The MPRE tends to be an elusive exam. Some students say the exam is “easy” and doesn’t require a lot of studying. Other students will tell you horror stories about people who haven’t passed the exam even after 3 or 4 tries. The truth is somewhere in the middle—it can be a difficult exam, but the exam also covers a limited amount of material that you can master in a couple of weeks if you really focus. It is important to understand, however, that the MPRE multiple-choice questions tend to be different than typical law school multiple-choice questions—so you want to make sure that your studying includes as many MPRE-like questions as possible so that you can see the patterns unique to the MPRE. Many students fall prey to the belief that they will simply “know the right answer” when they see it. The MPRE just tests common sense about what is ethical and what is not ethical, right? Not quite. The MPRE measures your understanding of two specific sets of rules: the ABA Model Rules of Professional Conduct and the Judicial Code of Conduct. 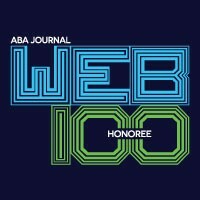 Most states have adopted these ABA Model Rules—so it makes sense for the exam to cover these. (ABA Law Student Division members receive a free e-book copy of the Model Rules when they upgrade to Premium). Read through the rules at least twice in their entirety (yes, actually READ the rules). Once you have a good sense of the rules, create flashcards for the ABA Model Rules of Professional Responsibility (most students do not need to create flashcards for the Judicial Code of Conduct—it tends to have easier, more logical rules). When you create flashcards, your goal is to annotate (break apart) the rules into the main rule and its exceptions. The MPRE loves to test the exceptions to the ethics rules—which is why the test is harder than you think (and also why you can’t always rely upon your “gut” to answer a question). You need to memorize the key elements of the rules and their exceptions—just having a “sense” of the rules is not enough. After you’ve placed your annotated rules on flashcards (which you can now easily review throughout your day), you want to begin reviewing actual MPRE-like questions to get a sense of how the MPRE tests the different rules. Use your flashcards when you first begin to review actual exam questions because you’ll learn the rules more as you apply them to specific questions. The more example MPRE questions you practice; the better sense you’ll get of how the exam tests specific topics—like the duty of confidentiality or its exceptions. You’ll begin to see specific patterns in the way the exam tests a given rule. Where can you get access to MPRE questions? There are free question sets from prior MPRE’s online, although many question sets don’t contain answer explanations that are critical for learning. Remember, you learn the most by reviewing the answer choices for each question (particularly the wrong answer choices). So look for supplements that contain both the questions and the answer explanations to get the most out of your studying. 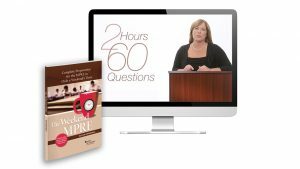 Several different legal publishers and bar companies offer MPRE materials—look for a package that provides you with access to practice questions (with explanations), quizzes, and full/simulated MPRE exams. Many materials are free—and you can certainly start with those materials. However, they often aren’t enough content to study completely for the exam—so you may need to supplement. If you’re a procrastinator, then consider a more structured course that has everything in one place. If you only have 2 or 3 weeks to study, then you want all your materials right in front of you—so you don’t have to spend time looking for more practice questions. Remember—read the rules, memorize the elements of each rule (and exceptions), and practice, practice, practice with MPRE-like questions and explanations. If you follow this simple structure, you’ll pass the MPRE on your first time! Leah Christensen Professor Leah Christensen is a nationally recognized teacher and scholar, and currently teaches Professional Responsibility at Thomas Jefferson School of Law. 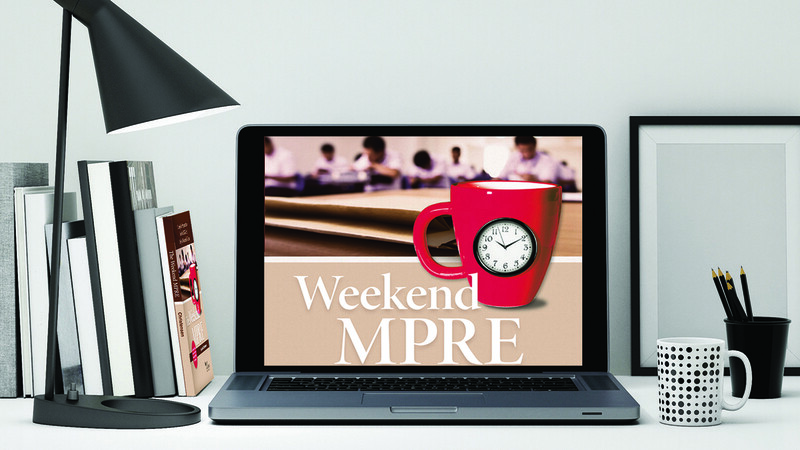 Christensen has created a new video course for the MPRE called "The Weekend MPRE -- Complete Preparation for the MPRE in Only a Weekend’s Time." The Weekend MPRE includes 14 video modules, 2 full sample MPREs, quizzes, and digital access to the book "A Short & Happy Guide to the MPRE," also published by Professor Christensen. The Weekend MPRE video course and A Short and Happy Guide to the MPRE are available at West Academic, Amazon, and participating law school bookstores.